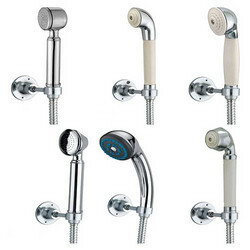 Leading Manufacturer of rain showers, shower with arms, telephone showers, shower mixer costa and shattaf set sofio shower sets with silver tube from Jamnagar. We are providing our customers with Rain Showers that are designed in accordance with international quality norms. These products can be customized as per the specifications detailed by the customers to fulfill their requirements. Furthermore, all these products are thoroughly checked by quality controllers to ensure zero defect. Flow Rate: 20 Ltr / Hr. Backed by our efficient workforce, we are capable of providing our customers with Shower With Arms. All our products are designed in compliance with international quality norms, using superior raw material and latest technology. In addition to this, we stringently check each product on various parameters to ensure that our clients get only flawless products at their end. Flow Rate: 8 Ltr / Hr. 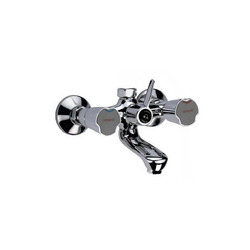 We have years of experience in manufacturing and exporting a comprehensive range of Telephone Showers that are widely used in homes and hotels. Our products are developed utilizing latest technology and superior raw material, which is sourced from the trustworthy vendors of the market. Furthermore, we provide tailor-made solution to our customers as per their requirements and demands. 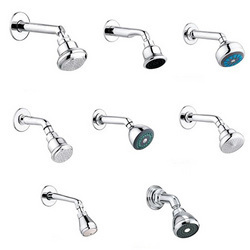 We are involved in the manufacture, export and supply of a wide range of Shower Mixer Costa Knobs that are made using premium quality raw material procured from our clients. Made available in various specifications, these knobs are widely appreciated for their smooth working and regulated water flow. We provide these durable knobs at industry leading rates. 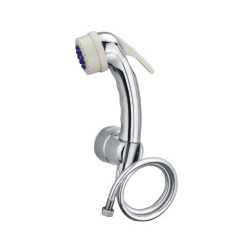 We are considered as they preferred choice in the industry to provide Shattaf Set Sofio with Silver Tube. Manufactured in adherence to the predefined industrial standards, these sets are known for their elegant designs and operational fluency. The offered range of products is tested under a series of stringent tests to check the quality and functionality as well. We provide these corrosion resistant sets at market leading rates. 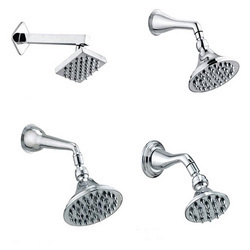 Looking for Bathroom Shower ?